Boxing was once one of the most exciting sports in South Africa, but the sport’s popularity has declined steadily over the years. In early years boxing attracted crowds of twenty to 30 000 spectators and there was even a tournament that attracted nearly 80 000 spectators. Boxers like Vic Toweel, Mike Holt, Enoch “Schoolboy” Nhlapo, Nkosana “Happyboy” Mgxaji, Levi Madi, Thulani “Sugarboy” Malinga, and later on Charlie Weir, Gerrie Coetzee and Kallie Knoetze attracted fans in the thousands to their fights, but these days some tournaments attract only a few hundred spectators at most, and promoters have to arrange Box-and-Dines to attract fans. South African amateur boxing has a proud record at the Olympic Games, having won six gold, four silver and nine bronze medals. However, since readmission to the games in 1960, South Africa has failed to win a medal. 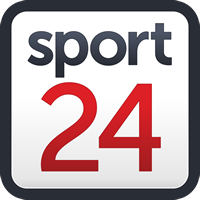 There is minimal reporting on amateur and professional boxing and only two South African newspapers have full time boxing writers. In view of the low profile of amateur boxing, the professional game has suffered. However, even though critics still complain about the decline in boxing in South Africa, there is still plenty of activity. Despite all the gloom and doom, during April this year, there have been 54 fight in South Africa and four involving South African fighters overseas. On 1 April there were eight bouts at a tournament in East London and five days later there was another tournament in East London with six fights which included a WBO Africa lightweight title and a South African junior-bantamweight title. Boxing returned to Pretoria after a long absence when there were 14 fights, which included a Gauteng junior-welterweight title, South African junior-welterweight title, WBF lightweight title and a WBF Africa junior-featherweight title. Xolisani Ndongeni became the fifth South African currently, to hold a “world” title when he outpointed Abraham Ndaendapo from Namibia for the WBF lightweight belt. In one of the few tournaments ever to be held at Kagiso in Krugersdorp, there were seven fights on 7 April when Thatho Bonokoane beat Sibusiso Khumalo for the WBF Africa junior-featherweight title. The day of 8 April was a one for boxing in East London with 14 fights, which included a South African bantamweight title and a WBC International featherweight title. On 20 April former multiple champion Ali Funeka lost on points over eight round to Islam Dumanov in Sedavi, Spain. The next day saw Zolani Tete retain his WBO bantamweight title with a win over Omar Andre Narvaez in Belfast, Northern Ireland. In Blairgowrie, Randburg on 22 April, there were six fights including Akani Phuzi winning the vacant Gauteng junior-heavyweight title with a sensational knockout win over Chris Thompson. On 27 April Chris van Heerden beat Timo Schwarzkopf in Louisville, Kentucky and in Accra, Ghana, Michael Mokoena lost to George Ashie for the vacant WBO Africa lightweight title. In Mdantsane on 29 April there were five fights which included a vacant East London Cape mini-flyweight title.